Voltage Pictures, the movie studio that gained its fame by producing the Academy Award-winning film “The Hurt Locker” and targeting 24,583 BitTorrent users in a piracy-related lawsuit last year, is on another copyright infringement crusade. The lawsuit lists the IP addresses of the 2,514 defendants, and admits that Voltage Pictures does not know their identities. Voltage Pictures is asking for a subpoena to obtain the true names and addresses of the defendants, probably so it can threaten them with legal action and force them to settle for around $3,000 apiece. This is the how piracy-related copyright lawsuits typically work; they're never meant to actually see the inside of a courtroom. Instead, companies subpoena Internet service providers for the IP addressees' personal details, and then spend their time attempting to get people to settle for somewhere between $1,000 and $3,000. If Voltage Pictures can get even 15 percent of the 2,514 defendants to settle for $3,000, the studio will make around $1.13 million. Voltage Pictures' last case -- in which the studio sued 24,583 infringers, making it the largest BitTorrent suit in history -- was dropped last December, after the studio had collected an undisclosed number of settlements. TorrentFreak notes that two things stand out about this case: first, the alleged infringers downloaded the movie in 2010, which means that Voltage Pictures waited two years before bringing the suit. Second, all of the IP addresses are from one ISP, Charter Communications. TorrentFreak suggests these two facts might be related; for example, Voltage Pictures might know that Charter keeps IP address records for more than two years, while other ISPs do not. 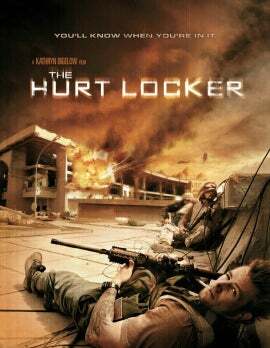 Voltage Pictures has already sued hundreds of thousands of users who allegedly downloaded “The Hurt Locker,” and we have no idea how many of these suits were settled out of court before the studio dropped most of the charges (and before the suit was dismissed). It appears this has been a lucrative business for Voltage Pictures, though, because the studio keeps coming back to sue more people. Cases like this are controversial not just because of the shady way companies go about trying to extract money out of court from defendants, but because they rely entirely on IP addresses to make their accusations. IP addresses can be thwarted by something as simple as an open Wi-Fi network, so they're far from a reliable source for making such claims.